In partnership with Caravanalia, AgentFiamma can now offer a fitting service for a variety of Fiamma accessories in Llandudno and the surrounding area. 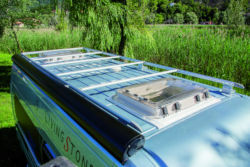 We offer installation of Fiamma awnings, Carry-Bikes, replacement Vents and Turbo-Vents, as well as Fiamma Ducato Roof Rails and Fiamma Ultra-Boxes to your Campervan, Caravan or Motorhome. These services are provided at pre-arranged, fixed prices so you know exactly what you'll pay before you book. Fittings can be carried out at Caravanalia's new workshop fitting centre in Llandudno or we can also offer a convenient mobile fitting service across a large area of North Wales at an additional charge. The engineer will come to you and install at your home, work or campsite. 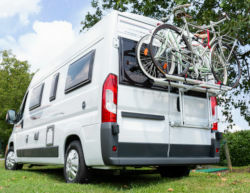 Fittings can be carried out on a variety of vehicles and as an NCC Approved Workshop, Caravanalia can install to newer Caravans and Motorhomes without effecting your manufacturer warranty leaving you with a quality fitting and peace of mind. See the table below for fixed fitting prices for various Fiamma accessories and vehicle types. Prices are based on fitting at Caravanalia workshop in Llandudno. 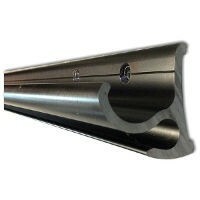 Mobile fitting service in the area indicated on the map above is additional £50.00. Prices are for fitting only. Equipment sold separately. Replacement pumps and water housings. 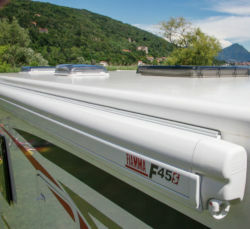 Fixed price Fiamma awning fitting service in Llandudno, North Wales. Mobile service also available in surrounding area at additional charge. 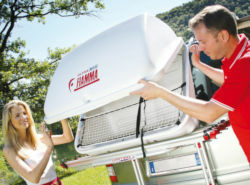 Fixed price Fiamma bike rack fitting service in Llandudno, North Wales. Mobile service also available in surrounding area at additional charge. Fixed price fitting service for Fiamma Roof-Rail Ducato in Llandudno, North Wales. Mobile service also available in surrounding area at additional charge. 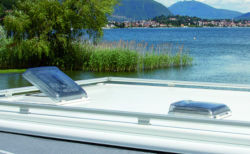 Replacement fitting service for Fiamma Vent and Turbo-Vent rooflights in Llandudno, North Wales. Mobile service also available in surrounding area at additional charge.